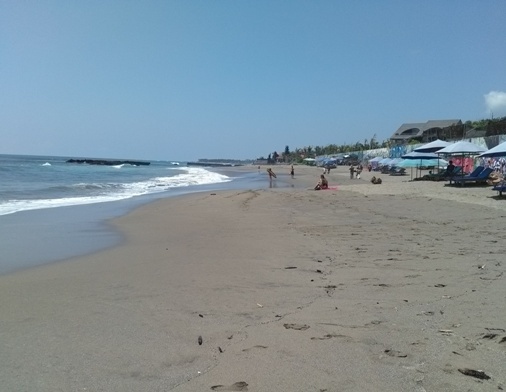 Old Man's Beach Canggu, a shimmering grayish-black sandy beach tucked away between Echo Beach (Batu Mejan) and Batu Bolong Beach and is blessed with great waves. This spot has attracted many surfers in recent years for a great surfing experience. This is one of the best surfing spots in Bali, the perfect spot especially for those who love long boarding. 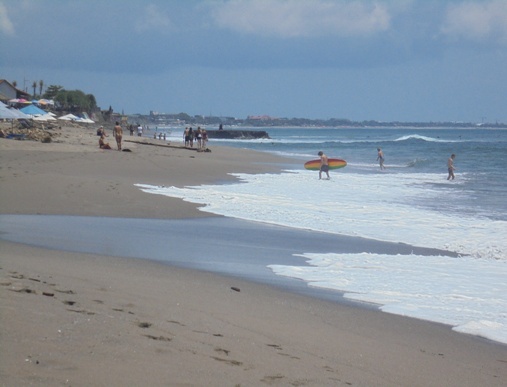 This spot is situated in Canggu Village, North Kuta District, Badung Regency, Bali. A beautiful spot with wide view and stunning panorama of Canggu, Kuta and Jimbaran coastline. It's only about 20 kilometers or less than an hour from International Ngurah Rai Airport. You can reach it easily; take the Jl. Sunset Road to Canggu area. Then continue on the Jl. Pantai Batu Bolong. Drive to the Jl. Munduk Catu until you hit the Jl. Pura Dalem and you have found it. The beach is on the south side, less than 10 minutes from the main road and easy parking for scooters. This spot is a coastal village with a slower rhythm of life, laid-back environment, and fertile rice fields (slowly disappearing). You can also enjoy direct views of India Ocean, green vegetation and shimmering sand along the shore. 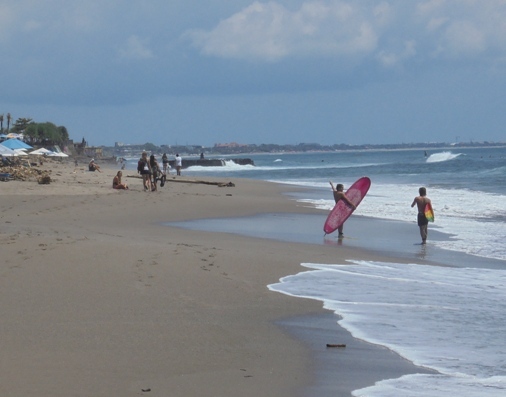 This is one of the surfers' favorite spots in Canggu (the West Coast of Bali) and easily crowded. There are surf board rental from local vendor right on the beach. You can easily paddle out on long board and getting some waves. Waves are generally fat, friendly and not so fast. Beware of reef bottom contour when surfing at low tide. This spot is recommended for beginners, intermediate, up to experienced surfers. The best time to surf here is during the dry season, from May to October. This is just a few walk to other famous surf spots such as: Pererenan, Echo Beach (Batu Mejan), Batu Bolong, and Berawa Beach. This beach is a nice spot to chilling, spending the day or weekend picnic. The atmosphere is relaxing, quieter and friendly. Plenty of restaurants, cafes, and bars along the beach where you can have lunch or to cool off during the day. You can rent a parasol and lounger, while enjoying the surfing action, cool sea breeze and blue water, relaxing vibe, reading books, sunning or watching people. The lovely beach is also endowed with a great sunset view in the evening; create romantic and rejuvenating vibe along the coast.